I just got an email saying that the Cash Money deal I mention below is actually not happening, and that the Chief Keef Twitter account it was sent from is a fake, which is something I didn't even consider. I guess impersonating established celebrities on Twitter has gotten old and now people are impersonating unsigned rappers? I don't get it but it's the Internet and a lot about the Internet makes no sense at all. 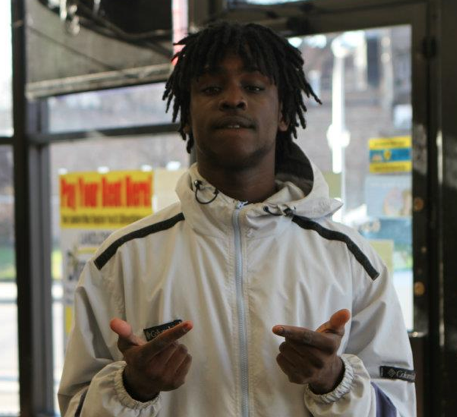 It's a very exciting time for local rapper Chief Keef right now. In just the past few weeks his fan base has exploded—it now includes not only the kids on the south side who've idolized him since his song "Bang" became a hyperlocal smash last year but also rap heavyweights like Kanye West and Baby, who've been gushing over him. All of this attention (along with the clothes-shopping spree that Keef's been live tweeting) has bred speculation that labels looking to tap into his massive buzz had started a bidding war. Yesterday he announced on Twitter that he's signed to Baby's Cash Money Records, home to Drake, Nicki Minaj, and Lil Wayne. This is only the latest in a recent flurry of big deals signed by young Chicago hip-hop artists, including producer Young Chop, who made the beat for Keef's "I Don't Like" (which Kanye has remixed with a cast of A-list rappers but hasn't yet made public). Chop recently inked a production deal with Warner Brothers. Over the weekend Keef stoked the chatter surrounding him a little more by releasing a new video with equally buzzed-about rapper Riff Raff, whose increasingly bizarre lyrics have me loving him way more now than when I first heard him. Check out "Cuz My Gear" after the jump, along with a mix of new Chicago hip-hop from local DJ Meaghan Garvey, aka Moneyworth, in case you were wondering what it is that all of these labels are fighting over. Looks like somebody doesn't like his "I Don't Like."